It sounds like a TB ward in our house this week. My son, my husband and I have all been coughing our lungs out with a nasty upper respiratory infection. My daughter, who leaves on Monday for a semester in Italy, has been slathering herself in Purel and avoiding us like the plague. Many cups of tea have been consumed. SO sorry to hear you're under the weather, Mary. No consolation, I know, but you are certainly not alone. This after-Christmas season is hitting more people than in past years. Thank you for hosting Mosaic Monday. I can understand how much work goes into hosting. Heck, just writing a post takes me the better part of a day. There's the cleaning, staging, photographing, editing, writing and cleaning up. And then, if you want people to see it (even though my site is not monetized, I do somehow want to think I'm offering something of benefit to others) you need to join up to these wonderful link parties. So, doing all this while you're sick - a real sacrifice. How scary for your daughter! Wishing her all the best in Italy. Sounds like so much fun for her. What an adventure. I hope you soon feel better Mary, and your family too! There's such an awful lot going around right now - best to stay tucked up and warm, with lots of good, hot tea. Hope you feel better soon, Mary. I love your images today. I am so drawn to footed teacups. It all looks so pretty. Oh dear, I hope you all feel better very soon. Hot tea and rest is good advice, especially when the tea is sipped from such pretty cups. Best wishes to your daughter for her semester in Italy. Hope you and your family feel better soon. Best wished to your daughter, she must be so excited. Oh Mary I hope you all feel better soon sooner soonest!!! And that your daughter has a wonderful safe (and healthy) trip.... Thank you SO much for doing this meme every week, and especially when I am sure you don't feel like doing anything at all. You are appreciated! I hope you feel better soon. I had the same thing and it seemed to last forever. Happy New Year! So sorry to hear that you R e feeling so bad 'May. Hopefully yo will be better soon. I hope you feel better soon! Take care of yourself and stay warm! Hugs! I hope you are all feeling better soon. There seems to be all kinds of icky stuff going around right now. Even when you're ill, your images are so darn beautiful Mary. I hope you're soon up from under that bad weather. love that lighting coming in on the cups! I hope you recover from your coughs. I had a nasty cough for several months through winter so I sympathize with you. Take care, rug up, and drink hot lemon juice with honey. awww, so sorry you are feeling so bad. Hope everyone feels better soon. Tough when three are down at once. Hope your daughter avoided catching the same bug. Thanks for hosting even when you are not feeling well. Appreciated. i think that same bug is here in Washington state as well. We suffered with it most of December, it is a tough one to get rid of. A cold is the perfect excuse for being lazy, and I have done just that this winter holiday break! I am so sorry. It's here too. My daughter, her husband, the baby and my husband all with the flu. The coughs are the worst. Italy, what a wonderful trip. Mary, so sorry to hear that your are not feeling well. Hope you and your family get better quickly! Hello Mary...I'm sorry you are under the weather. It's that time of year. I have been paranoid about hand washing for the past few weeks. There are so many post Christmas bugs going around. So take care and get well, my friend. Thank you for hosting...and, especially since you're not feeling well. Dear Mary, like you our new year has not had the best of starts as we had to say au revoir to our wonderful 12 year old cocker spaniel, Ben, last Thursday. I hope you all begin to feel better soon and that your daughter escapes to Italy germ free! Oh dear Mary get well! Here's wishing a speedy recovery from the illness. Down here in Ky. we have what we have the Ohio River Valley crud. HH and I both have it. just sneezing our heads off.Not really sick that an aggravations. Mary, your tea cup mosaic is SO beautiful. I hope your family is starting to get a little relief from the nasty bug!!! I posted on our little man with the big game tonight. I sorry you are under the weather. We have been that way for awhile here too. Feel better! Thanks for hosting! I just linked up first time. Love for you to stop by and return the follow. I am also hosting Mom's Monday Mingle. love to have you link up. Mary, I'm so sorry your family has been dealing with that respiratory crud. Ours has, too. I hope your daughter was able to outrun it -- and that she has as fantastic time in Italy! Thanks for hosting even when under the weather. Your photographs are beautiful as always! I am dreadfully sorry to hear about your family and yourself not feeling well. I had - of all things - the Whooping Cough that started last April and lasted until JULY - I hope and pray that isn't the case with you, or surely praying your poor daughter doesn't get sick. What a wonderful opportunity for her to study abroad - lucky gal! 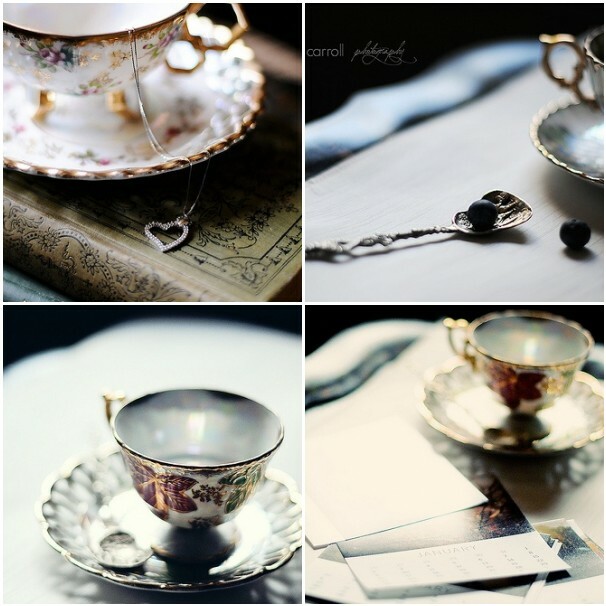 Your demitasse teacup pics are stunning, especially the one with the book - what a beautiful photo! I am sliding in at the end of the day. Thanks for hosting again this week. Love this blog, I like the linky because it brings me here often. On a happier note...My favorite vacation EVER was visiting my daughter during her semester in Italy. This is the first time i visit your blog: I love it! Complimenti e a presto! Boy, something is going around. Everyone I've spoken with the last few days has been puny, and I'm hoping not to get whatever it is. Feel better.